What happens if I don’t file Form I-751 during the 90 days prior to my 2nd year anniversary as a conditional resident? The Form I-751 can be filed after the 90-day period if you can prove in writing to the director of the appropriate Service Center that there was good cause for failing to file the petition on time. The director has the discretion to approve the petition and restore your permanent resident status. Author MarkPosted on November 29, 2016 Leave a comment on What happens if I don’t file Form I-751 during the 90 days prior to my 2nd year anniversary as a conditional resident? What are the reasons for replacing a green card? Can I live in the U.S. if my green card expires? It depends on whether you are still considered to be in lawful immigration status. If you are a permanent resident, and your card expires, you are still in lawful immigration status and still have a right to live and work in the U.S. but you no longer have a valid evidence of your status. If you are a conditional permanent resident, you were admitted to the U.S. for a 2 year period and must file the Form I-751 or Form I-829 (whichever applies) or you will automatically lose your conditional permanent resident status when your card expires. As a result, you can be removed from the U.S.
You should renew your green card by filing the Form I-90 if you are a permanent resident with a green card valid for 10 years that is either expired or will expire within the next 6 months. You should renew your green card by filing a Form I-90, Application to Replace Permanent Resident Card. You should renew your green card if you are a permanent resident with a Form I-551 (green card) valid for 10 years and the card is either expired or will expire within the next 6 months. Note: If you are a conditional resident and your status is expiring, these instructions do not apply to you. In that case, you must use Form I-751, Petition to Remove the Conditions on Residence, to apply to remove the conditions on your permanent resident status. Do I need to renew my Permanent Resident Card if it doesn’t have an expiration date? If you have an older versions of a green card, it should be replaced. There are several versions of older cards in existence. There are a number of Form I-151 versions of green cards. These cards were issued prior to 1977. If your card indicates that it is a Form I-151 version, it is no longer valid. If you have one of these older editions of the permanent resident card, you should apply to replace it. When should I renew my green card? You should renew your green card if your card is either expired or will expire within the next 6 months and you are a permanent resident with a Form I-551 valid for 10 years. Author MarkPosted on November 29, 2016 Leave a comment on How do I renew my green card? Am I still eligible to have the conditions on my green card/resident status removed if I’m going through a divorce? Your permanent resident status is conditional if it is based on a marriage that was less than 2 years old on the day you were given permanent residence. You are given conditional resident status for a period of 2 years starting from the day you are lawfully admitted to the United States on an immigrant visa or adjustment of status to permanent residence. Your status is conditional because you must prove that you did not get married to evade the immigration laws of the United States. To remove these conditions you must file Form I-751, Petition to Remove Conditions on Residence. How do I know if I’m eligible to have the conditions on my green card/resident status removed? ● Entered into a marriage in good faith, but either you or your child were battered or subjected to extreme hardship by your U.S.-citizen or permanent-resident spouse. You could be eligible to file a waiver request. You filed a waiver request. We will issue a request for evidence (RFE) specifically asking for a copy of the final divorce decree or annulment (if applicable). You filed a Form I-751 petition jointly. We will issue a request for evidence (RFE) specifically asking for a copy of the final divorce decree or annulment and a statement that you would like to have your joint filing petition treated as a waiver. Upon receipt of the final divorce decree or annulment within the specified time period, we will amend the petition, to indicate that eligibility has been established for a waiver of the joint filing requirement based on the termination of the marriage. What happens if my conditional green card expires and I don’t have a new one yet? As a permanent resident, you should have received a green card. This card will continue to prove that you have a right to live and work in the United States permanently. If you file Form I-751 on time, we will extend your conditional resident status until a decision has been made on your application. You will be sent a notice stating this. Can I work if my conditional green card has expired? Author MarkPosted on November 29, 2016 November 29, 2016 Leave a comment on Am I still eligible to have the conditions on my green card/resident status removed if I’m going through a divorce? What are the criteria to have the conditions on my green card/resident status removed? Author MarkPosted on November 29, 2016 Leave a comment on What are the criteria to have the conditions on my green card/resident status removed? Do I need a Form I-130 for each family member? Yes. In general, you need to submit a separate Form I-130 petition for each family member. In most cases, when your husband’s or wife’s place in line is reached and he/she applies to immigrate, his or her unmarried children under 21 can apply as dependents. That means that you do not absolutely need to file a separate petition for each child. However, if the child marries or turns 21 before immigrating, he/she will no longer be eligible as a dependent. So we recommend you consider filing separate petitions for each child. A separate petition keeps the child’s place in line among sons and daughters of permanent residents waiting to immigrate. If your unmarried child has a child, your grandchild can apply for an immigrant visa with your son or daughter as their dependent if your son/daughter remains unmarried and your grandchild remains under age 21 and unmarried. Author MarkPosted on November 29, 2016 Leave a comment on Do I need a Form I-130 for each family member? Is there any relief for surviving relatives? * the beneficiary of a pending or approved family-based visa petition, including both the principal beneficiary and any derivative beneficiaries. The requirements for section 204(l) relief are the same, regardless of whether the petition or application was pending or approved when your relative died. If a case is pending or approved, you can make the request to USCIS. The information we need to process your request is the same. The way we process requests for relief is slightly different, however. If your relative dies while the petition is pending, you should specifically ask USCIS “to approve the petition under section 204(l),” despite your relative’s death. Author MarkPosted on November 29, 2016 Leave a comment on Is there any relief for surviving relatives? What happens if I die before the immigrant I’m sponsoring gets a green card? If you die while the petition is pending, your relative should specifically ask USCIS “to approve the petition under section 204(l),” despite your death. Author MarkPosted on November 29, 2016 Leave a comment on What happens if I die before the immigrant I’m sponsoring gets a green card? If my petitioning relative dies, can I still immigrate? Author MarkPosted on November 29, 2016 Leave a comment on If my petitioning relative dies, can I still immigrate? How do I apply for relief under INA Section 204(l)? Form I-864, Affidavit of Support Under Section 213A of the Act, from a substitute sponsor or Form I-864W, Intending Immigrant’s Affidavit of Support Exemption, if applicable. If your Form I-130 was pending when your relative died and at least one beneficiary, or derivative beneficiary, resided in the United States when your relative died and continues to reside in the United States then send your written request to the USCIS office currently processing your case (the address is on the receipt notice (Form I-797) or, if USCIS transferred the case to a different office, send your request to the new office listed on the transfer notice). If your Form I-130 was already approved when your relative died AND you are not ready and/or able to file Form I-485 yet, then send your written request to the office that approved your petition. If your petition was already approved when your relative died AND you have a visa available and are ready to file Form I-485, send your written request with your Form I-485 package per Instructions for Form I-485. If you have already filed Form I-485 (whether or not your petition was pending or already approved) then send your written request to the USCIS office having jurisdiction over your application. Author MarkPosted on November 29, 2016 Leave a comment on How do I apply for relief under INA Section 204(l)? What if my fiancé (e) is already in the United States in another status and we decide to marry? If your fiancé (e) came to the United States lawfully using a visa other than a fiancé (e) visa and you marry, you can file an I-130 relative petition for him/her as your spouse. He or she may be able to file Form I-485 along with your petition. For information about the I-130 relative petition, please see Customer Guide A1. If your fiancé (e) is in the United States and entered unlawfully, in most cases he or she will not be able to adjust status to that of a permanent resident while in the United States. In this situation, once you marry, you may file an I-130 relative petition for him or her as your spouse. If approved, he or she will have to pursue an immigrant visa at a U.S. Embassy or consulate overseas. Author MarkPosted on November 29, 2016 Leave a comment on What if my fiancé (e) is already in the United States in another status and we decide to marry? Can my relative wait in the United States until becoming a permanent resident? Filing an I-130 petition does not allow your relative to live or work in the United States. An I-130 petition only establishes your relationship with your relative. If you are sponsoring your husband or wife, unmarried child under 21, or parent, they entered the United States legally, and they are still in the United States, they can submit Form I-485, Application to Register Permanence or Adjust Status when you file their I-130 petition. If Form I-485 is filed at the same time as the I-130, the relative can usually stay in the United States while waiting to become a permanent resident. They can also work if they file Form I-765 with the I-485 and I-130. For other relatives, the combination of high demand and the limits set by law on how many people can immigrate each year means your relative may have to wait several years while petitions that were filed before theirs are processed. When your relative reaches the front of the line, the U.S. Department of State will contact your relative and invite him or her to apply for an immigrant visa. Author MarkPosted on November 29, 2016 Leave a comment on Can my relative wait in the United States until becoming a permanent resident? What do I need to do to help my family get green cards? The first steps are: File Form 1-130, Petition for Alien Relative, Provide proof of your legal status in the U.S., submit proof of your relationship. If you are a member of the military, special conditions may apply to your situation. A visa becomes available to a preference category according to the priority date (the date the I-130 was properly filed). Author MarkPosted on November 29, 2016 November 29, 2016 Leave a comment on What do I need to do to help my family get green cards? Author MarkPosted on November 29, 2016 November 29, 2016 Leave a comment on As a U.S. citizen, which relatives can I sponsor (or petition for)? What happens if I filed a petition for a relative when I was a permanent resident, but now I’m a U.S. citizen? When you are a U.S. citizen, your husband or wife and any unmarried children under age 21 will have visas immediately available to them. They no longer need to wait. If you become a U.S. citizen while your relative is waiting for an immigrant visa, you can upgrade your relative’s visa classification and advance the processing of that petition by notifying the appropriate agency of your naturalization. When you are a U.S. citizen, your husband or wife, parent, and any unmarried children under age 21 will have visas immediately available to them. Please include a letter with information about your relative, a copy of your Naturalization Certificate, and a copy of the petition approval notice. Once the NVC is notified that the petitioner (you) has naturalized, the NVC will immediately send the visa information on your relative to the designated U.S. Embassy or consulate abroad. To confirm that your approved petition has been forwarded to the NVC, you can contact the NVC’s automated recorded message system at 1-603-334-0700 and, with a touchtone telephone, enter your USCIS receipt number. receipt notice. Call USCIS at 1-800-375-5283 for assistance or if you are unsure about the status or location of your petition. Author MarkPosted on October 10, 2016 October 10, 2016 Leave a comment on What happens if I filed a petition for a relative when I was a permanent resident, but now I’m a U.S. citizen? Since March 4, 2013, certain immigrant visa applicants who are immediate relatives (spouses, children and parents) of U.S. citizens can apply for provisional unlawful presence waivers before they leave the United States for their consular interview. Foreign nationals who are not eligible to adjust their status in the United States must travel abroad and obtain an immigrant visa. Individuals who have accrued more than 180 days of unlawful presence while in the United States must obtain a waiver of inadmissibility to overcome the unlawful presence bars under section 212(a)(9)(B) of the Immigration and Nationality Act before they can return. Typically, these foreign nationals cannot apply for a waiver until after they have appeared for their immigrant visa interview abroad, and a Department of State (DOS) consular officer has determined that they are inadmissible to the United States. The provisional unlawful presence waiver process allows immediate relatives who only need a waiver of inadmissibility for unlawful presence to apply for that waiver in the United States before they depart for their immigrant visa interview. This new process was developed to shorten the time that U.S. citizens are separated from their immediate relatives while those family members are obtaining immigrant visas to become lawful permanent residents of the United States. Immediate relatives who do not wish to seek a provisional waiver can still file Form I-601, Application for Waiver of Grounds of Inadmissibility, after a DOS consular officer determines that they are inadmissible to the United States. The same is true for immediate relatives who are ineligible for a provisional unlawful presence waiver. The provisional unlawful presence waiver process does not change the immigrant visa process. Even if your provisional unlawful presence waiver is approved, you are still required to depart the United States for your immigrant visa interview with a U.S. consular officer abroad. A DOS consular officer determines that you are otherwise admissible to the United States and eligible to receive an immigrant visa. DOS may cancel your immigrant visa application process if you fail to appear at your immigrant visa interview at a U.S. embassy or consulate.. If you are in removal proceedings, you are ineligible for a provisional unlawful presence waiver unless, at the time you file your Form I-601A, your proceedings are administratively closed and have not been put back on the Department of Justice, Executive Office for Immigration Review (EOIR) calendar to continue your removal proceedings. While USCIS does not envision placing I-601A applicants in removal proceedings, USCIS will follow current Department of Homeland Security (DHS) and USCIS Notice to Appear (NTA) guidance governing initiation of removal proceedings. For more information on USCIS NTA priorities, see USCIS Policy Memorandum, Revised Guidance for the Referral of Cases and Issuance of Notices to Appear (NTAs) in Cases Involving Inadmissible and Removable Aliens (Nov. 7, 2011). Be an immediate relative of a U.S. citizen (not a preference category immigrant who has a visa available). An immediate relative is an individual who is the spouse, child (unmarried and under 21), or parent of a U.S. citizen. Have a pending immigrant visa case with DOS for the approved immediate relative petition and have paid the DOS immigrant visa processing fee (IV Fee). DOS did not initially act before January 3, 2013 to schedule your Immigrant Visa interview for the approved immediate relative petition upon which your provisional unlawful presence waiver application is based. You may be subject to one or more grounds of inadmissibility other than unlawful presence. DOS initially acted before January 3, 2013, to schedule your Immigrant Visa (IV) interview for the approved immediate relative petition upon which your provisional unlawful presence waiver application is based, even if your immigrant visa interview has been canceled, you failed to appear for the interview, or your interview was rescheduled on or after Jan. 3, 2013.Note: The date and time that you are scheduled to appear for your immigrant visa interview at the designated U.S. embassy or consulate is not the date USCIS will use to determine if you are eligible for Form I-601A. If DOS initially acted before January 3, 2013, to schedule your immigrant visa interview, you are not eligible for Form I-601A, even if you failed to appear for your interview or if you or DOS cancelled or rescheduled your interview for a date on or after January 3, 2013.Instead, you may file a Form I-601, Application for Waiver of Grounds of Inadmissibility, from outside the United States after you have been interviewed for your immigrant visa, and the consular officer has found that you are inadmissible for a ground that may be waived. You are in removal proceedings that have not been administratively closed. At the time of filing, you are in removal proceedings that have been administratively closed but have been placed back on the EOIR calendar to continue your removal proceedings. You do not meet one or more of the requirements, as outlined in the Form I-601A and its instructions. Carefully follow the Form I-601A instructions and fully complete the application. USCIS will reject any application that is not accompanied by the proper filing and biometric fees OR that does not meet the filing criteria specified in 8 CFR 212.7(e)(5). Use the checklist available on the last page of the form instructions to make sure your application is complete before filing. Do not concurrently file Form I-601A with any other application or petition. I-601A, Application for Provisional Unlawful Presence Waiver The fee is $585. If you are under 79 years of age, you must also pay the $85 biometric services fee. If you are 79 years of age or older, you do not have to pay the $85 biometrics fee. The Form I-601A fees cannot be waived. Use black ink only to complete forms. Do NOT use highlighters or red ink when completing forms because entries written with highlighters or red ink do not show up when the forms are scanned. Be sure to sign all of your form(s). A copy of your DOS immigrant visa fee receipt (IV Fee Payment Receipt). See the DOS Web site at https://nvc.state.gov, to learn how to obtain your immigrant visa fee receipt and more. Submit Form I-601A with the correct fees or USCIS will reject your application. If you need to change responses on the form, we recommend that you re-start with a new form. Responses that have been “whited out” or erased can lead to scanning errors. USCIS prefers that you download forms from our website, fill them out electronically, and then print your forms prior to submission to USCIS. Be sure that you mail all pages of the form. If you have any attachments, make sure each attached page has your name and either your A-Number (if available) or your I-130 or I-360 receipt number. You may also number the pages and include the total amount of pages being attached (i.e. “Page 1 of 11”). If you move after filing your Form I-601A, notify USCIS of your new physical address within 10 days of your move. You should also notify USCIS if your mailing address changes. You may not receive notices from USCIS if you do not notify USCIS that your address has changed. You should also include Form G-1145, E-Notification of Application/Petition Acceptance, with your application if you want to receive an email and/or text message notifying you that your form has been accepted by USCIS. If you have questions call the Customer Service Center at 1-800-375-5283. Do NOT visit a USCIS field office in person. 2. Mail your application to the USCIS Chicago Lockbox. 3. Visit an Application Support Center (ASC) to provide biometrics. After USCIS receives your Form I-601A application with fees, we will send you a notice scheduling you to visit an ASC to provide your biometric and biographic information. The USCIS National Benefits Center will adjudicate all Form I-601A applications. Grant you any benefit or protect you from being removed from the United States. Allow you to apply for interim immigration benefits such as work authorization or advance parole. Guarantee you will be issued an immigrant visa. Guarantee your admission into the United States by U.S. Customs and Border Protection. Give you a legal immigration status. Change the requirement that you must depart the United States in order to obtain an immigrant visa. NOTE: USCIS may reopen or reconsider its decision on the Form I-601A at any time. DOS ends the immigrant visa application process. USCIS revokes the underlying approved immigrant visa petition (Form I-130 or Form I-360). The consular officer at the U.S. embassy or consulate determines that you are inadmissible on grounds of inadmissibility other than unlawful presence. You reenter or attempt to reenter the United States without being inspected and admitted or paroled, before or after your provisional unlawful presence waiver is approved or before your immigrant visa is issued. If your provisional unlawful presence waiver is revoked you may be able to file to waive certain grounds of inadmissibility. The Form I-601, Application for Waiver of Grounds of Inadmissibility, and instructions about which grounds of inadmissibility can be waived are available on the Form I-601 Web page. If USCIS approves your Form I-601A, you and/or your legal representative should take steps immediately to have your removal proceedings formally terminated or dismissed by EOIR before you depart the United States to attend your immigrant visa interview. If you leave the United States before your removal proceeding is terminated or dismissed, you may experience delays in the processing of your immigrant visa or risk becoming ineligible for an immigrant visa based on another ground of inadmissibility. After you receive the approval notice for your Form I-601A, you and/or your legal representative should contact the Office of the Principal Legal Advisor at U.S. Immigration and Customs Enforcement (ICE) to make arrangements to have those proceedings dismissed. Do not contact ICE until after USCIS approves your Form I-601A. A list of the ICE Chief Counsel phone numbers is available on the internet at: http://www.ice.gov/contact/opla/. When you contact ICE, you should have a copy of the approval notice available for ICE’s review. If USCIS denies your provisional unlawful presence waiver, you cannot file an administrative appeal or a motion to reopen or reconsider. However, if your provisional unlawful presence waiver request is denied or if you withdraw your provisional unlawful presence waiver application before USCIS makes a final decision, you may file a new Form I-601A, in accordance with the form instructions and with the required fees. Your immigrant visa case must also be pending with DOS. In the case of a withdrawn Form I-601A, USCIS will not refund the filing fees because USCIS has already taken steps to adjudicate the case. Alternatively, if USCIS denies your Form I-601A or you withdraw your Form I-601A before USCIS makes a final decision, you can apply for a traditional waiver using the existing process and Form I-601, Application for Waiver of Grounds of Inadmissibility. You cannot apply for a Form I-601 until after you attend your immigrant visa interview and after DOS determines that you are subject to other grounds of inadmissibility. If you decide to file Form I-601 after the interview abroad, you must file the Form I-601 in accordance with its instructions and with the required fees. To qualify for this provision, you must be the beneficiary of a labor certification application (Form ETA 750) or immigrant visa petition (Forms I-130, Petition for Alien Relative or I-140, Immigrant Petition for Alien Worker) filed on or before April 30, 2001. In most cases, you must pay an additional $1,000 fee and complete Supplement A to Form I-485, Application to Register Permanent Residence or Adjust Status, to apply under Section 245(i) provisions with your adjustment of status application (Form I-485). Refer to Section 245(i) of the Immigration and Nationality Act (INA). In addition, the qualifying immigrant visa petition or the qualifying application for labor certification must have been “properly filed” (signed and submitted with the correct fees) and “approvable” (meritorious based on the facts and “non-frivolous”) when filed. Depending on the circumstances, a spouse or child of a grandfathered individual may also be a grandfathered or may be eligible to adjust status as a dependent under Section 245(i) of the INA. Labor certifications or visa petitions filed to preserve an individual’s adjustment eligibility under Section 245(i) must be both properly filed and approvable when filed to qualify. To meet this test, at a minimum the filing must be timely (filed by April 30, 2001) and meet all applicable substantive requirements (“approvable when filed”). Deficiencies such as lack of fee or original signature disqualify the submissions. If you withdraw the petition or have been denied or revoked after approval by the former Immigration or Naturalization Service (INS) or by USCIS, you may still be grandfathered, depending on the reasons for the withdrawal, denial or revocation. It depends on whether a visa petition or labor certification was “approvable when filed.” To remain eligible, the changed circumstances must relate to factors beyond your control rather than the merits of the petition at the time of filing. As indicated above, it depends on the reasons for the final action. In addition, the changed circumstances must relate to factors beyond your control rather than the merits of the petition at the time of filing. As long as the petition or labor certification application was “approvable when filed,” you should remain grandfathered. To obtain a green card, you need to file Form I-485, Application to Register Permanent Residence or Adjust Status. You must also file Form I-485, Supplement A, with fees at the same time unless you meet an exception. For more information on exceptions, please see the instructions for Form I-485, Supplement A. Generally, when you have a pending Form I-485, it is possible for you to apply for authorization to work in the United States and to seek advance parole (advance permission to travel and be admitted to the United States upon your return). For further information, see our Work Authorization and Travel Documents. Note: See the other considerations found below before traveling. Many persons mistakenly believe that Section 245(i) of the INA constitutes amnesty, i.e., forgiveness of unlawful presence or other breaches of status. On the contrary, unlawful presence continues to accrue until an application for adjustment of status is filed (which stops accrual of unlawful presence). Section 245(i) does not protect an individual from deportation nor does having a grandfathered petition or application for labor certification place an individual in a period of stay (free from removal proceedings) authorized by the Secretary of Homeland Security. For example, an individual illegally in the United States accrues unlawful presence until he or she properly files an application for adjustment of status. An individual who accrued 180 days or more of unlawful presence in the United States, and then departs the United States (even if the individual previously obtained an advance parole (travel document)), will trigger a bar to adjustment of status or immigrating on an immigrant visa (a 3-year or 10- year bar under Section 212(a)(9)(B) of the INA). This bar is not forgiven by Section 245(i) in most instances. There are many other grounds of inadmissibility that apply even though you may have an application for adjustment of status under Section 245(i). Therefore, an individual who continues to work without authorization may remain eligible to adjust status if and when permanent residence is approved and an immigrant visa is available, but may be removed from the United States if discovered in the meantime. Furthermore, a United States employer who files a labor certification or Form I-140, naming an unauthorized individual as beneficiary, will be subject to sanctions if discovered to be knowingly employing that individual prior to adjustment of status or USCIS granting work authorization. The application for adjustment of status under Section 245(i) does not protect an individual against removal based on an applicable ground of inadmissibility by Immigration and Customs Enforcement (ICE). Once an application for adjustment of status is filed (Form I-485), the individual becomes eligible for work authorization and may work if he or she applies for and obtains an Employment Authorization Document. In 1994, Congress enacted Section 245(i) of the INA, permitting certain individuals who were otherwise ineligible for adjustment of status in the United States to pay a penalty fee for the convenience of adjusting status without leaving the United States. Prior to enactment of the LIFE Act Amendments, the window for preserving adjustment eligibility under Section 245(i) ended or cut off on January 14, 1998, after which only “grandfathered” individuals (beneficiaries of labor certifications or immigrant visa petitions filed on or before that date) were eligible to adjust status under Section 245(i) . The cut-off date of Section 245(i) changed several times; however, then President Clinton signed into law a provision that changed the nature of Section 245(i) to “grandfather” those individuals in the United States for whom an immigrant visa or application for labor certification was filed on or before January 14, 1998. On December 21, 2000, the LIFE Act Amendments temporarily restored eligibility under Section 245(i) by replacing the previous cut-off date of January 14, 1998, with a new date, April 30, 2001. 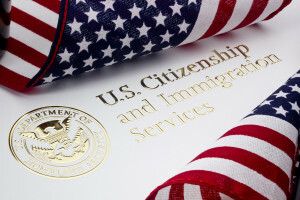 Accordingly, a beneficiary of a labor certification application or immigrant visa petition filed on or before April 30, 2001, preserves an individual’s eligibility to adjust status under Section 245(i) if certain conditions are met. The LIFE Act added a significant requirement to Section 245(i). If the qualifying petition or labor certification was filed after the previous cut-off date of January 14, 1998, the individual must have been physically present in the United States on the date of enactment (December 21, 2000) in order to qualify for Section 245(i) benefits under LIFE. Section 245(i) grandfathers individuals themselves as well as the applications or petitions filed for them. The basis of a grandfathered individual’s eventual adjustment, however, is not restricted to the application or petition filed to preserve adjustment eligibility. The grandfathered individual’s application for adjustment of status may be based on any adjustment provision available to the individual at the time of adjustment. For example, a qualifying Form ETA-750 filed on or before January 14, 1998, preserves the individual’s eligibility to adjust status after that date. However, the filed ETA-750 does not commit that individual to adjustment on the basis of an employment based petition. If, after January 14, 1998, the individual was named as beneficiary in a family based petition or won an immigrant visa in the diversity lottery, he or she may adjust status on the new basis. (Note that the immigrant visa won in the diversity lottery will not grandfather an individual, but may be used as a basis of adjustment by an individual who is already grandfathered under Section 245(i)). WASHINGTON—Secretary of Homeland Security Jeh Johnson has redesignated Syria for Temporary Protected Status (TPS) and extended the existing TPS designation for the country from Oct. 1, 2016, through March 31, 2018. This allows eligible nationals of Syria (or persons without nationality who last habitually resided in Syria) to register or re-register for TPS in accordance with the Federal Register notice published today. To extend your TPS, you must re-register during the 60-day re-registration period that runs from Aug. 1, 2016, through Sept. 30, 2016. To obtain TPS, you may apply for TPS during the 180-day initial registration period that runs from Aug. 1, 2016, through Jan. 30, 2017. Current beneficiaries under Syria’s TPS designation seeking to extend their TPS status must re-register during a 60-day period that runs from Aug. 1, 2016, through Sept. 30, 2016. U.S. Citizenship and Immigration Services (USCIS) encourages beneficiaries to re-register as soon as possible. The 18-month extension also allows TPS re-registrants to apply for a new Employment Authorization Document (EAD). Eligible Syria TPS beneficiaries who re-register during the 60-day period and request a new EAD will receive one with an expiration date of March 31, 2018. USCIS recognizes that some re-registrants may not receive their new EADs until after their current work permits expire. Therefore, USCIS is automatically extending current TPS Syria EADs with a Sept. 30, 2016, expiration date for an additional six months. These existing EADs are now valid through March 31, 2017. For Syrian nationals (and persons having no nationality who last habitually resided in Syria) who do not currently have TPS, the TPS redesignation may allow them to apply for TPS if they have continuously resided in the United States since Aug. 1, 2016, and have been continuously physically present in the United States since Oct. 1, 2016. Applicants must meet all other TPS eligibility and filing requirements. Form I-765, Application for Employment Authorization;The Form I-765 application fee, regardless of their age; andA copy of the receipt notice for the initial Form I-821 that is still pending.Applicants may request that USCIS waive any fees based on inability to pay by filing Form I-912, Request for Fee Waiver, or by submitting a written request. Fee-waiver requests must be accompanied by supporting documentation. USCIS will reject the application of any applicant who fails to submit the required filing fees or a properly documented fee-waiver request. All USCIS forms are available for free. Download forms or order them by mail through the USCIS website at uscis.gov/forms or by calling the USCIS Forms Request Line toll-free at 1-800-870-3676. Veterans Parole (FWVP) Program, effective June 8, 2016, allows certain eligible U.S. citizens and lawful permanent residents (LPRs) to request parole for their eligible family members. If approved for parole, your eligible family members will be able to reunite with family members in the United States before their immigrant visas become available and apply for work authorization. Photograph of a U.S. Department of Homeland Security logo. Definitions;Program eligibility;Requesting parole under the FWVP Program;Processing your application;Beneficiary interview;Post-interview process;What it means to be a parolee; andProtecting yourself from fraud.